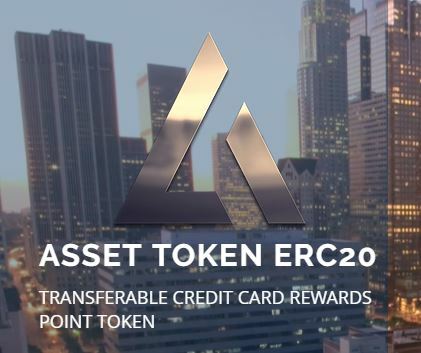 Asset Token offers technologies to empower consumers, Asset Tokens unlike traditional Rewards Points are Real Assets that become property of the consumer and let’s that consumer choose what he or she wants to do with it. Asset Token gives consumers a real value earned by the banks rewards programs. Banks receive a global system that becomes self sustaining without the need for maintenance which saves them money. Both adopting banks and consumers receive a token and technology that can increase in value as adoption increases creating a very lucrative opportunity for banks to sell Asset Tokens to other banks that wish to participate. We are a solution that runs perfectly and efficiently on the Ethereum global blockchain network without any scaling issues. Ethereum has developed an roadmap for scaling which will only make asset token run faster. Current discussions with fintech and banks have been very positive. The easy integration of Asset Token allows a Bank wanting to get into the blockchain space to test or full deployment possible. Asset Token is a value added service. Any company or financial institution deploying any kind of rewards programs can now easily use asset token and open up third customer base as other businesses or banks begin to participate. We are currently under NDA with financial institutions. That information will be released once a deal is finalized. Failures are successes in disguise. Learn your niche business well. You must be adaptive to the changing business environment. Things are changing very fast in the tech world. Our team is an innovative bunch always looking at how technology can change things. We look towards very disruptive innovations. Dennis Lyon is our tech advisor and person who created Asset Token. He is an Inventor. One such invention that he never patented was the iPhone. The attorney received the document but it was never filed as a patent. Another invention was called the Identity server. A system that allows a trusted source to pass trusted personal information and login credentials. This identity system is now today called Facebook or the specific part is the Facebook connect technology. Asset Token was invented by Dennis because he felt a Token is A Token and it needs practical use as one and this is known today as Asset Token. Todd Nichols is long time friends as with the rest of the team. With a background in sales and research, Todd Nichols leads the team’s digital strategy. Andrew Stanford has a deep background in business and finance. He is an expert in acquisition and all his companies have made the Fortune 500 list over the last few years. Paul Gerstenberger is an inventor/serial entrepreneur with more than 35 years heading companies from high tech to consumer products. He holds several patents and pending and has been heavily involved in the high tech industry since the early 90s. We plan to start ventures to help the helpless. It shouldn’t be that only the few have knowledge and access to these innovations. Since we are currently focused on blockchain, we were thinking of ways to tokenize a currency in the poorest corrupt countries and spread the wealth among them. We have a few ideas but the technology learning curve is our biggest hurdle . These technologies must become as easy as holding a dollar.